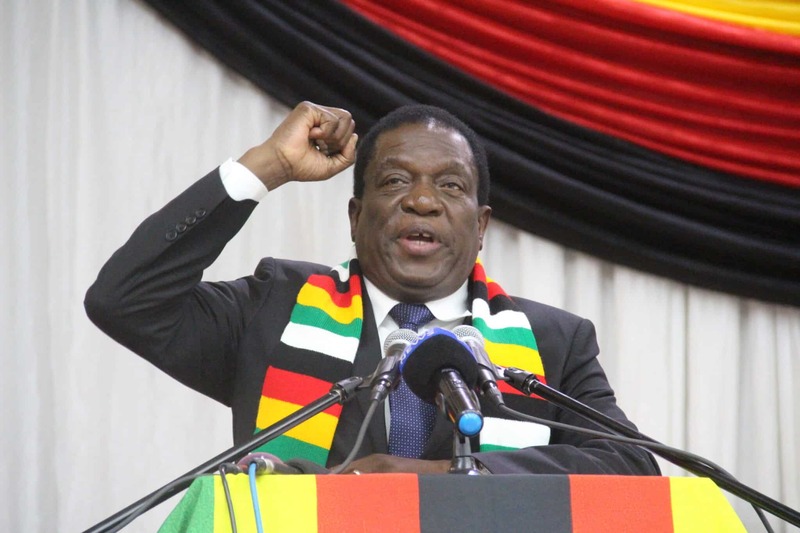 President Emmerson Mnangagwa has called on women to desist from practices that tarnish their image as vital cogs in the nation’s economic turnaround programme. Officiating at the launch of the Zimbabwe Women Micro-Finance Bank in Harare today, Mnangagwa said women who will be selected to operate agency banking services across the country should be honest and transparent in their operations. “I urged all the women who will be appointed as agents to be honest, reliable and desist from practices that will tarnish the image of women as vital cogs in driving the nation’s turn around programme,” he said. Mnangagwa urged women to develop the culture of saving to be able to finance and sustain their business ventures outside the Women’s Bank. “Women should endeavor to revert back to the basics of money rotating clubs which thrive on honesty, transparency, respect and team work, this promotes a culture of saving and subsequently enhances the ability of women to finance and sustain thriving businesses,” he said. Mnangagwa added that more money is needed for the bank on top of the USD$10 million injection by the Reserve Bank of Zimbabwe. The President said government expects the bank to contribute to the poverty reduction, human development and mainstreaming of gender through equity and equality. “Most of the unbanked live in the rural areas hence there is need for the new Bank to quickly establish itself in most of these remote and marginalized communities,” said Mnangagwa. Speaking at the same event, Women Affairs Minister, Sithembiso Nyoni said the bank will create professional jobs and provide employment for women at grassroots level. “Women will also have access to loans without the traditional collateral and develop a culture of mentor ship to help those that are starting to succeed,” explained Nyoni. The new bank seeks to champion women’s financial inclusion through availing affordable funding options to start their own enterprises. Plans are underway to launch the youth bank as government moves to open opportunities for the disenfranchised groups in society.